The Motability scheme allows disabled people to use their government funded mobility allowance in order to lease a new car, scooter or powered wheelchair. In fact, since it was set up in 1978, it has helped over 3 million people by providing the mobility solutions they need. Motability is a national charity that also raises funds and provides financial assistance. With Motability, everything is taken care of, giving you the freedom to drive. Insurance, maintenance, RAC breakdown recovery, servicing, tyres and windscreens are all included at no extra cost when you choose a new car on the scheme. What's more, your chosen vehicle will be leased on a 3 year Contact Hire agreement meaning that you get a brand new car every 3 years. 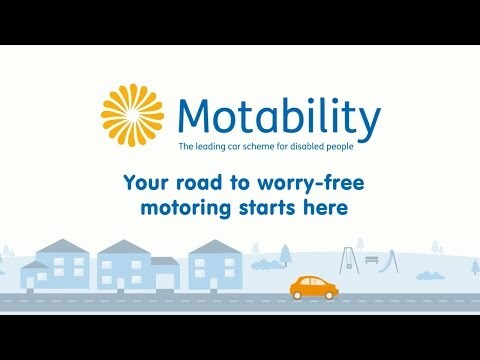 The following video illustrates how the Motability scheme has helped other disabled drivers. If you are still unsure as to whether you are eligible, please contact one of our fully-trained, friendly Motability Specialists who will be delighted to help you further. For full details on Motability Eligibility, click here. Alternatively, why not use the Eligibility Checker tool. Insurance claims; an insurance excess will apply on any claim for loss or damage. This excess amount varies depending on the age and experience of the driver (full details can be obtained on application). Theft of, or damage to, personal belongings; these include wheelchairs, coats or mobile phones (full details can be obtained on application). Once you have decided that the scheme is for you, it really couldn't be simpler. At Gates Ford, we have a large selection of brand new, award-winning Ford vehicles for you to choose from. Many of these vehicles are available with little or no advance payment. Need help choosing which Ford vehicle is right for you? Try the checklist. Our team of friendly, fully-trained Motability Specialists will be happy to discuss your needs, book you in for a test drive and help you with your application. Please get in touch with us in person, by phone or via the online enquiry form. There are generally three different categories of adaptations available. Driving adaptations: These help to improve your driving experience by providing assistance with speed control, steering and signalling for example. They can vary from simple attachments to replacing existing controls. Stowage adaptations: These allow you to store and transport your scooter or wheelchair with the assistance of stowage systems such as a boot hoist, operated by the simple touch of a button. Access adaptations: These help you to get in and out of the car and can include features such as swivel seats, transfer plates and electric person hoists. The following guide provides comprehensive information about vehicle adaptations. Download here. At Gates Ford, we understand that our customers have their own individual requirements- that's where our fully trained Motability Specialists come in. Depending on your needs, they will be able to offer advice on the Ford vehicles that are most suitable for you and the associated adaptations available on that vehicle. For more details on adaptations and conversions, click here. For disabled people aged between 16 and 64, the Government has started replacing Disability Living Allowance (DLA) with Personal Independence Payment (PIP). The Department for Work and Pensions (DWP) will be writing to current claimants of DLA, inviting them to apply for PIP. This will start with those on fixed term awards, followed by those with "indefinite" or "lifetime" awards. It is anticipated that the nationwide roll out of PIP will conclude in 2018. Disabled children will continue to receive DLA until they reach 16 and it will also still be available for those aged over 65 as of 8th April 2013. You are awarded the Enhanced Rate of the Mobility Component of PIP. With this outcome, there will be no change and you can continue to lease your vehicle as normal. You are not awarded the Enhanced Rate of the Mobility Component of PIP. Motability cars can only be supplied to recipients of the relevant mobility allowances and you will be contacted with regards to the return of your vehicle and for support through this transition. In the unfortunate event that the Enhanced Rate of the Mobility Component of PIP is not awarded, there is a package of financial support available from Motability to selected customers, as long as you return the car to the dealership in good condition and by the agreed date. This has been carefully designed to support Motability customers through the initial phase of PIP implementation but will be subject to further review. Please note: The above is provided for information purposes only. The process of application for PIP is carried out through the Department for Work and Pensions. In the event that a vehicle should be returned, the process and financial support is managed by Motability Operations Ltd. Any decisions made are not influenced in any way by Frank G.Gates Ltd.